The new generation of CZ 75 SP-01 pistol especially adapted according to suggestions as proposed by users from Law Enforcement, Military and Police communities worldwide, with an additional input from the Team CZ world premier shooters Angus Hobdell and Adam Tyc. 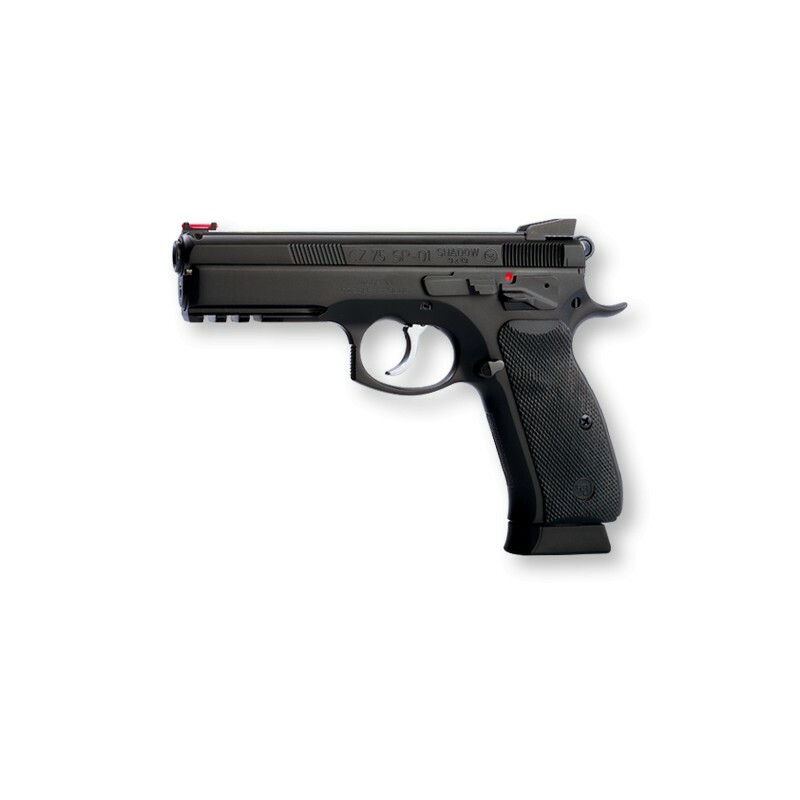 The CZ 75 SP-01 SHADOW features no firing pin block, which consequently helps to slightly reduce trigger pull weight and improves trigger travel properties. Pistol frame which comes from a new mould incorporates alterations such as recess beneath the trigger guard and beavertail to enable a higher grip of this handgun. Slightly “weaker” recoil spring originating from standard production CZ 75/85 pistols facilitates loading and enhances the shooting comfort. Sights consisting of fiber optics front sight and tactical “Novak style” rear sight to promote much easier, faster and more accurate target acquisition. Round off edges of magazine well, substantially improve reloading. 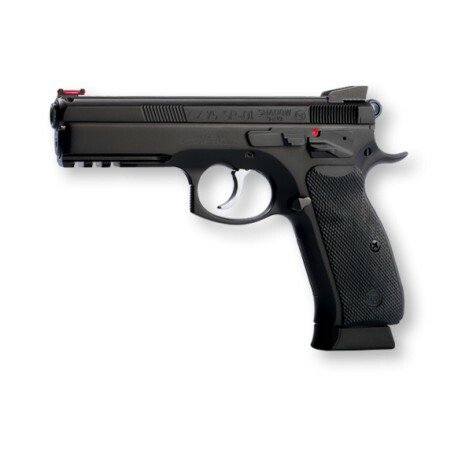 This new generation of CZ 75 SP-01 Shadow pistol is appropriate for service use, self-defense and sport alike. Packaging includes 3 pcs of magazines.